Geely has boosted China sales with models that appeal to younger consumers such as the Lynk & CO 01 SUV. BEIJING -- Geely Automobile Holdings surpassed its top three Japanese rivals to become the third-largest automaker in China after Volkswagen Group and General Motors, helped by models that appeal to the nation's young consumers. Reporting a 54 percent jump in net income for the six months through June, the automaker said in a filing Wednesday that its vehicle sales this year will beat its target of 1.58 million units. Geely now trails only VW and GM in China, after overtaking Nissan, Honda and Toyota in the period. Controlled by billionaire Li Shufu, Geely is among Chinese automakers seeking to dominate the auto industry as newer technologies such as electrification and automation define the future of transportation. 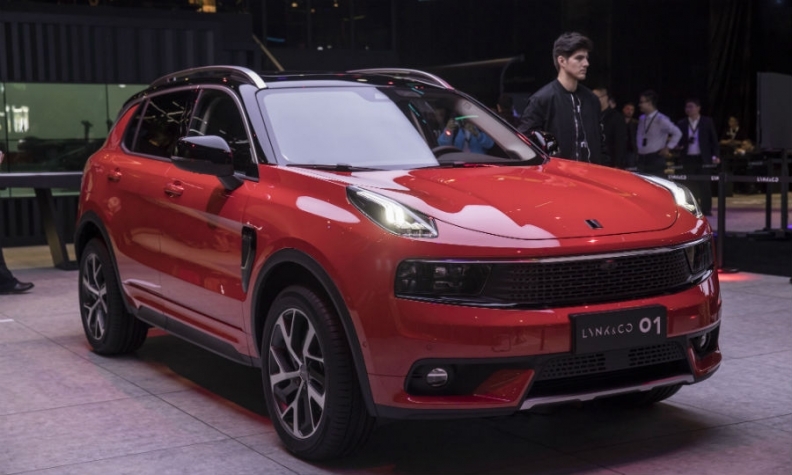 With an eye on leadership in its key market, Geely has been expanding, offering vehicles such as those produced under the Lynk & CO brand jointly developed with Volvo. The mainland market share of the Hong Kong-listed company increased to 6.4 percent in the first half, from 5 percent in 2017. It sold 766,630 vehicles in the period, beating Nissan's 720,447. Geely sold 1.25 million vehicles in 2017. Li has also been active overseas, expanding his automotive empire. After his purchase of Volvo in 2010 from Ford, he snapped up stakes in the iconic British sports-car maker Lotus Cars and Malaysia's Proton Holdings. In February this year, he disclosed a 9.7 percent stake in Daimler, emerging as the largest shareholder in the company. Although cuts in subsidies for electric vehicles and the tariff war between the world's biggest economies will weigh on industry sales in the second half, the company will build on the momentum from the first half, it said.